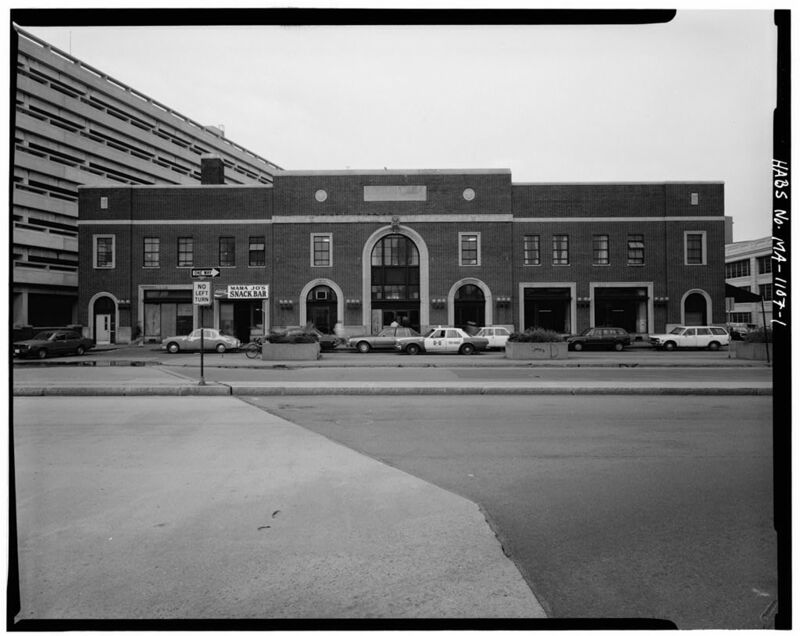 I was doing some reading on back bay station today and learned that the current structure was built in 1987the to replace the original 1900s building. How much of the original building remains today? Are the platforms for tracks 1 and 2 original? When the current building was being built did they pick up and drop off passengers there? There really arent that many remains of the old Back Bay Station. All the platforms that are in use at that station are totally new as of 1987. When the current building was being built did they pick up and drop off passengers there? Yes, although it was a typical construction mess. Framingham/Worcester service on the B&A ran normally throughout the project and used part of a platform on the north side. All Northeast Corridor service was rerouted through Dorchester during the construction of the Orange Line/Amtrak ditch, but the MBTA operated a frequent Back Bay-South Station shuttle, usually a pair of RDCs. That used a section of a platform at the east end of the station. Access to all this was via various temporary stairs and ramps. Interesting! If they re-routed NEC service up the dorchester branch, does that mean that the NEC tracks running through the station were re-built? If by "rebuilt" you mean replaced with new rails and ties, yes. If you mean moved around, the old and new stations are in the same place but I'm sure there were some small lateral shifts in the exact position of the NEC trackage since it was a complete reconstruction. I believe I can provide some answers here. I've actually been doing research on Back Bay lately to improve the Wikipedia article. There have been no less than 7 distinct stations at Back Bay. Originally there were none - the Boston & Albany (nee Boston & Worcester) and the New Haven (nee Old Colony, nee Boston & Providence) crossed at Back Bay to their separate terminals at Kneeland Street and Park Square. The B&A built two stations - Columbus Avenue outbound and Huntington Avenue (#1) inbound - in 1880. When the downtown termini were combined with South Station starting in 1899, both the B&A and the New Haven built new stations in the Back Bay area. 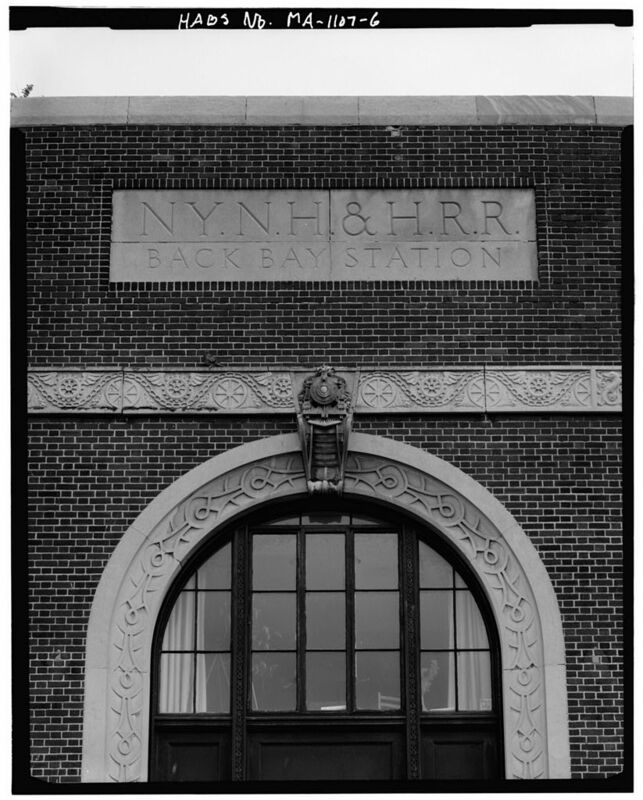 The New Haven opened Back Bay station (#1) in 1899 more or less on the modern location. The B&A opened Trinity Place and Huntington Avenue (#2) the next year. TomNelligan wrote: If by "rebuilt" you mean replaced with new rails and ties, yes. If you mean moved around, the old and new stations are in the same place but I'm sure there were some small lateral shifts in the exact position of the NEC trackage since it was a complete reconstruction. 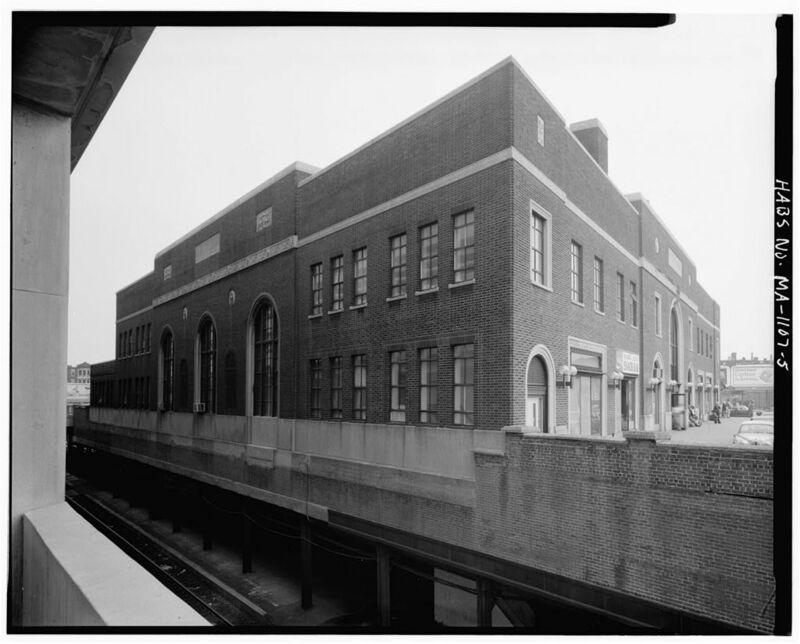 The current Back Bay Station was built as part of the Southwest Corridor project, which shifted the NEC from above grade to below grade between (roughly) Forest Hills and Back Bay, and also moved the Orange Line into the same ROW. In the first of the c. 1970 photos, it appears to be taken from where Copley Place stands today. Looks like it was a parking lot? Or a road? What was there? Yes, the photo was taken from across Dartmouth Street, about where Copley Place and the track 5&7 exit is now. At the time, it was a rather dead space, with an exit ramp from the Pike. That entrance ramp has been completely changed; it's now a single exit to Huntington, with no connection to Dartmouth. What was the track layout like prep-orange line? Four tracks, two island platforms. 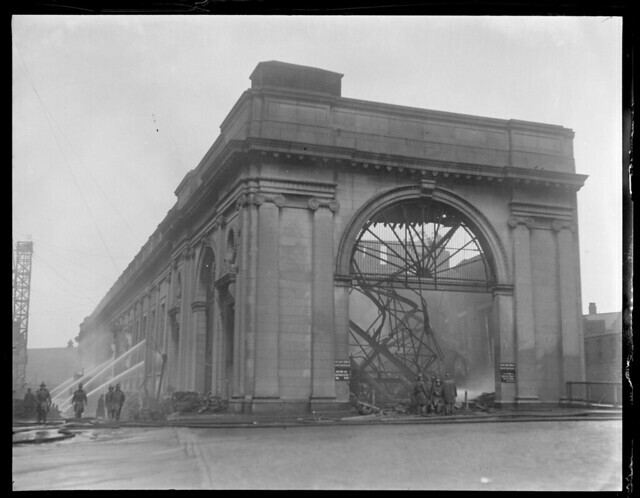 EGE, thanks for posting the link to the old photos of Back Bay station. I went to school on Marlborough Street for a year in 1979 and I ended up spending a lot of time in the old Back Bay. It was a rather simple building but I think it was vastly superior to its replacement. One of my favorite memories is waiting on the platform for the Needham train to arrive in the afternoon, usually a pair of RDCs, when the Amtrak would arrive. I just thought the automatic doors and stairs on the Amfleet cars were the coolest (and most modern) things I had ever seen on a railroad. Brian, I had similar memories although at an earlier time (1969-1970) when I would take the train back to school in PA. The classic old station would only have a handful of passengers at the early hour I left, few enough that we could fit on the freight elevator along with the baggageman down to the platform. A couple of times I got to see the UAC Turbo make its stop then leave with a roar of jet engines, it was nice to see something clean and modern on the RR, mostly it was dirty PC ex-NH coaches with cracked windows. Does anybody know why the track numbering on both the 1929 and modern station is the way it is? From south to north: 2, 1, 3, 5, 7. The 1929 station also had a track 4 just south of 2. Even before they expanded the station in 1962 to include the Worcester Line...why not 1, 2, 3, 4? EDIT: Never mind. Instead, what happened to Track 4? Big stories in the Globe and Herald today regarding an upcoming development / update to Back Bay. The full article with pictures appears below. Nice to read that funding is included to improve ventilation at track level. As many of us know, it's been a murky smoggy unhealthy mess down there since the 1987 opening. This has also necessitated the spotting of trains such that the rear vestibule of the coach adjacent to the locomotive remains in the tunnel (to keep the loco and its exhaust further from the platform).